I went to Morning Prayer this morning. It was a lovely way to start the week. After the service, a conversation reminded me of a piece our previous rector submitted to a ‘Peace Book’ we put together in 2007. It was called ‘Having a corner on God’ by Archbishop Desmond Tutu, and his point was that there are holy people in every religion, and that there many things that people of different faiths can learn from each other. So I started to think about Julian, and how many ways there are to appreciate her writing. For Lent this year, I felt it was right to re-read Revelations Of Divine Love, but this time to read it aloud. It turned out to be a wonderful thing to do, so I don’t think I can claim credit for it. It simply seemed to be the right thing to do. It was a powerful and deeply moving experience. I felt like I could hear Julian speaking, and of course, a scribe actually wrote the book as she dictated it (according to the scribe’s own postscript) so from the beginning it was spoken words. Julian’s words have always spoken to me, but by the time I finished the book I felt that I had connected with her on a deeper level, that I had felt her personality , that at times she was funny, indignant, sharp-witted; she sounded like someone I’d like to know, someone I’d like to turn to for advice, a big sister. This is the relationship I have with her voice. Other people have different relationships; it may be an inspiration to contemplative prayer, it may be the comfort of some of the famous quotes. The scribe’s postscript warns against this kind of cherry-picking, but really, I would say, anyone who only takes a few snippets is missing out on much more. It’s easy to do with Julian, though, there are so many wonderful sentences, so many words to treasure. What I want to remind myself by writing this, though, is that there are many ways to come to Julian, many ways to interpret her words, many ways to carry her message in our hearts. 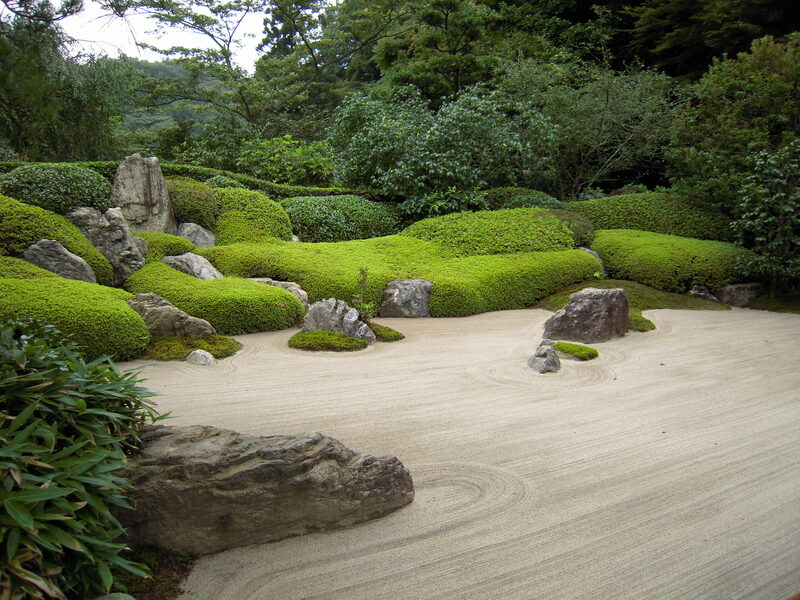 Like a Japanese rock garden, it depends where you stand, you will never see it all from only one place. This entry was posted in Julian of Norwich and tagged contemplative prayer, Desmond Tutu, Having a corner on God, Julian of Norwich, morning prayer, Pentecost, Revelations Of Divine Love, trinity sunday by tokyopurplegirl. Bookmark the permalink.